Local church ministry can be the most demoralizing and challenging, yet amazingly fulfilling and rewarding, of callings. Regularly placed near the bottom of any ranked list of occupations, pastoring well requires consistent time away to recharge and reconnect with your family and, especially, with God. Most pastors take regular vacations, often for multiple weeks in a row to get beyond the “Next Sermon Syndrome” that comes with only one Sunday “off the clock.” Other times away for church leaders include conferences, sabbaticals or retreats that provide encouragement and engagement away from tending to congregational needs. After just experiencing a week away, on a short-term trip with my middle-school-aged daughter, I have come to appreciate the sense of rest and refreshment that only time-off working-in global missions can provide. Having served as a pastor in local church ministry, I feel the need to clarify that I am not referring to the touristic hotel-based “video shoot with village kids” mission trips that some pastors take. I am talking about the heavy-lifting, funky-smelling, dudes-snoring on bunk beds mission trip in which you actually put your hands to the plow of the Great Commission. One of those short-term trips when you get on the plane and realize that the longest week you could have imagined flew by in a blur of constructive activity, cross-cultural relationships and deeply meaningful conversations. What if we seek the ease of white sand on a cool ocean breezed beach, when the right perspective on how God has called us to live can only come with the weight of wet concrete in a rusted-out wheelbarrow on a steep, bumpy dirt path. Leading well requires occasional opportunities for following. Short-term mission opportunities give Type-A leaders a chance to just do “whatever” needs to be done, without the burden of figuring-out what that “whatever” is. Much can be learned from stepping back and willfully, sometimes forcefully, not being the solutions and planning point person for a few days. If you always have to be the leader, and avoid any situation where you are not in complete control, it is highly likely you can grow as a Christ-follower in significant ways. The discipline to not take over, to lay the reigns down and just follow someone else’s lead will sharpen our leadership tools if we will practice it. In the end, you bring a healthy humility back to your staff after your way was not the “better” way for once. Hard work fills while you are being emptied. There is nothing more frustrating than closing the office door at the end of a busy, hectic ministry day, and not having any physical evidence that anything actually was done. Meetings, phone calls and empty inboxes lack the satisfaction that the rock piles, shovels and sweat of a short-term construction project can bring. Using physical strength as a part of a spiritual project in a third world country is game changing for corner-office-private-bathroom-type leaders. Literally relying on God for the ability to complete 15 more “missionary minutes” of intensive labor reminds us that this kind of reliance is just as effective, and just as necessary, for everyday ministry back home. You will never be closer than when you are far away. Following Jesus’ Acts 1:8 mandate to be His witnesses to the world may take you far away, but you will never be relationally closer to your family, to friends or to God. Co-laboring together with others forms a bond in the Spirit, as you see God at work in ways that only He can account for. The knowing smiles, laughter and shared stories in the church lobby bring an unfathomable depth to community across the congregation. Getting off the social-media handheld-device grid for a few days also reminds you that your love for your family is more than a series of heart emojis. And then there is the opportunity to serve side-by-side with a spouse or child… it doesn’t get any better than seeing someone you love loving and serving people. 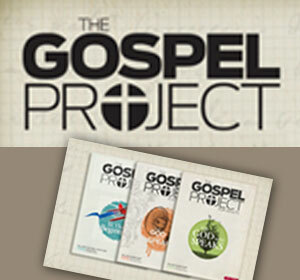 Local mission is fueled by global perspective. Our occasional willingness to fly around the world to share the love of Jesus can be mighty convicting when we regularly hesitate to walk across the street to do the same. Short-term mission trips are great reminders of our nonnegotiable calling to love people, and can be a flywheel to Great Commission living in the everyday. Leaders benefit from the chance to gain a fresh point of view on their local-church mission by looking back across a country or ocean and remembering that the Gospel message is just as needed right where they minister the other 51 weeks of the year. Ministry plans are more effective when interrupted. Something regularly fails to go as originally planned on a short-term missions trip, and that is exactly why you might need to take one regularly. Having to improvise and adapt when the situation changes reminds us that we can make the plans but that God directs the steps. Thinking fast and adjusting to complete an objective, often without notice, places leaders in a responsive posture as the Holy Spirit leads. As a result, we realize a greater depth of effectiveness than we could have ever asked for or imagined in the first place. 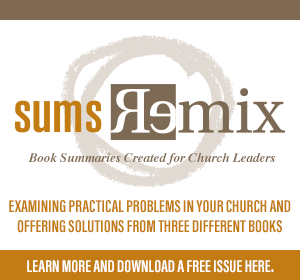 Seeing God’s plans, not ours, come to fruition brings perspective and builds confident improvisation when one of our carefully crafted home-church ministry plans require rethought. No matter your reason, one thing is for sure… time spent emptying yourself to serve someone else is the most Christ-like work you will ever do in ministry. 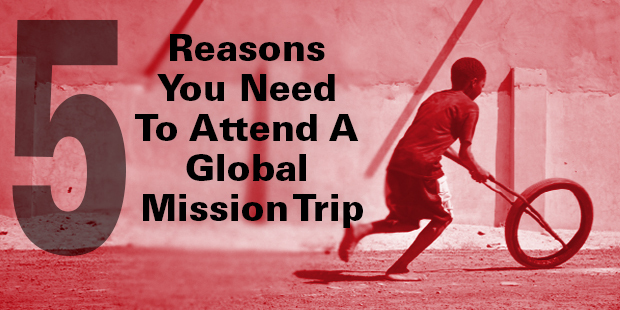 Maybe it is time to get off the grid and get on the grind of a short-term missions trip. > Read more by Bryan.